Also spelled Quena (Spanish). 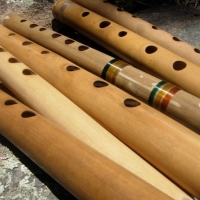 The Kena is an end-blown flute native to the South American Andes. 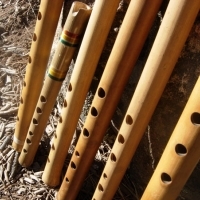 Sound is produced almost identically to a side-blown flute (transverse flute or silver flute) only that the mouth is placed at the end of the tube rather than blowing from the side. 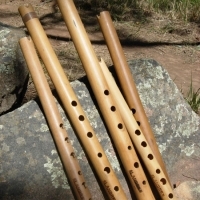 Unlike a fipple flute (native American flute, recorder, penny whistle) the Kena requires what we refer to as embouchure, that is, a correct mouth and lip position that allows the air to pass over the notch at the end of the instrument. 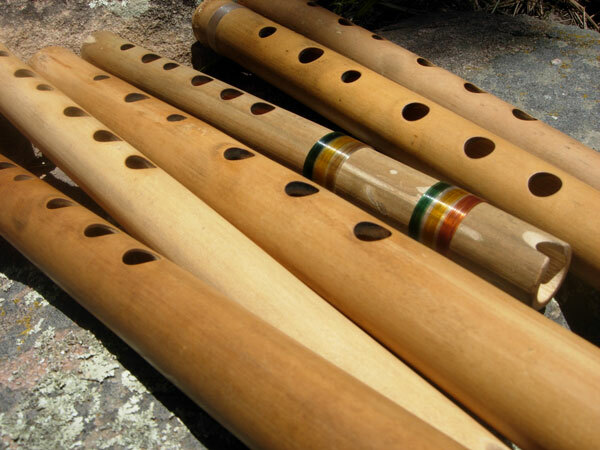 There are end-blown flutes in diverse parts of the world. 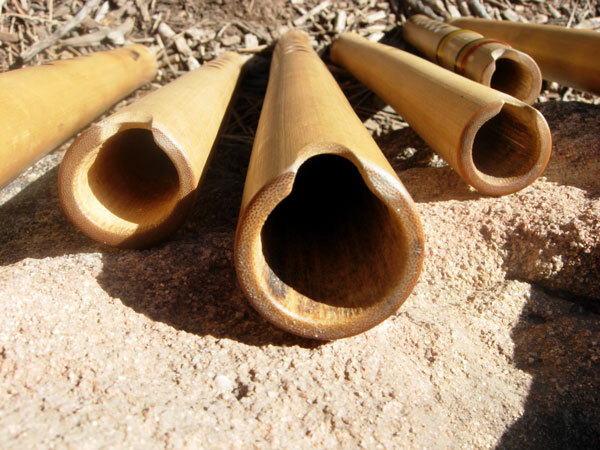 One of the better known end-blown flutes is the Japanese Shakuhachi. Relatives are found in China and other parts of the world as well. 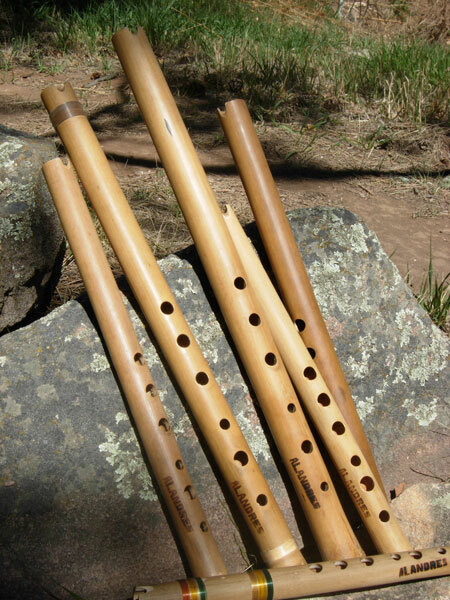 Recently, the Anasazi flute has gained popularity, it too being end-blown. 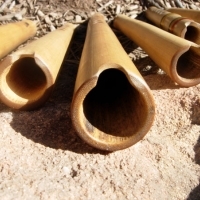 Essentially anywhere human beings and bamboo have co-existed, communities have taken advantage of the hollow properties of this material to make musical instruments. 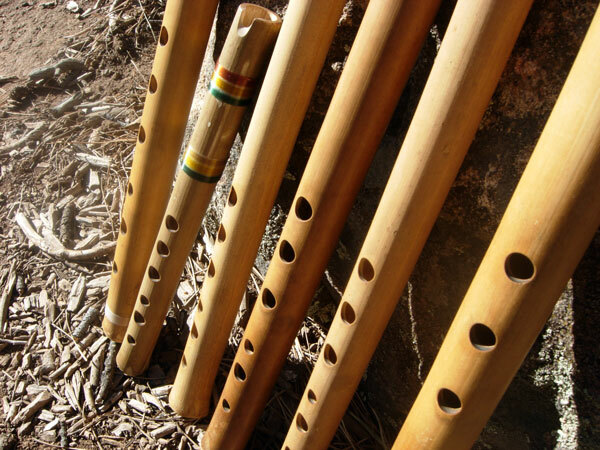 The Kena is a pre-colombian instrument that was utilized by a number of Andean cultures, many of them pre-dating Inca civilization by hundreds, if not thousands of years. Kenas were made from a number of materials: ceramic, bamboo, animal and even human bones. Originally the Kena was pentatonic (five note scale). Following the arrival of Europeans we had the introduction of western notation. Nowadays almost all Kenas are made in Major keys (diatonic). This allows you to interpret an assortment of melodies, from Andean music, to classical, to contemporary. Special ordered and individually made by Ivan Alandres. Usually made from bamboo, they can be made out of hardwoods if so desired. Some common keys (C major, F major, Eb major) Call for pricing.